Yes, I got it pre-ordered and got the intel from you about three weeks ago. Thanks. Yes, that is the correct description of Doomsday Clock. I have not been following the DC Universe closely since the New 52 initiative, but this has caught my interest. This has a handful of solid arcs, but no Robin or Batgirl. 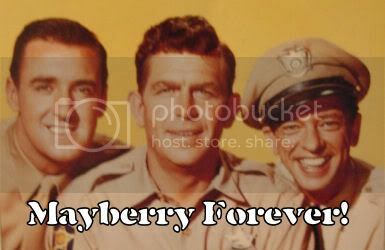 I say if its a look at Batman's early career include them too! I would easily recommend these three to anyone. Loving them and hoping for hardcover collections. I'm a big fan of Marvel, but they aren't putting anything out I love. I'm starting to think they will wait to release volume 3 of Umbrealla Academy so there can be some Netflix synergy when the show drops. 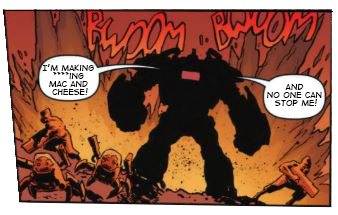 Doom Patrol is great. It's easy to recommend to a fan of Umbrella Academy. there actually were some Robin stories. there was an arc called grimm. Umbrella Academy is great, I read those a month or two back. Just finished reading James Tynion IV's "Memetic." That... that was creepy AF, fellas. Seriously messed up. And I'm jealous you just read Umbrella Academy some months ago, I've been waiting for the next installment for nine years. 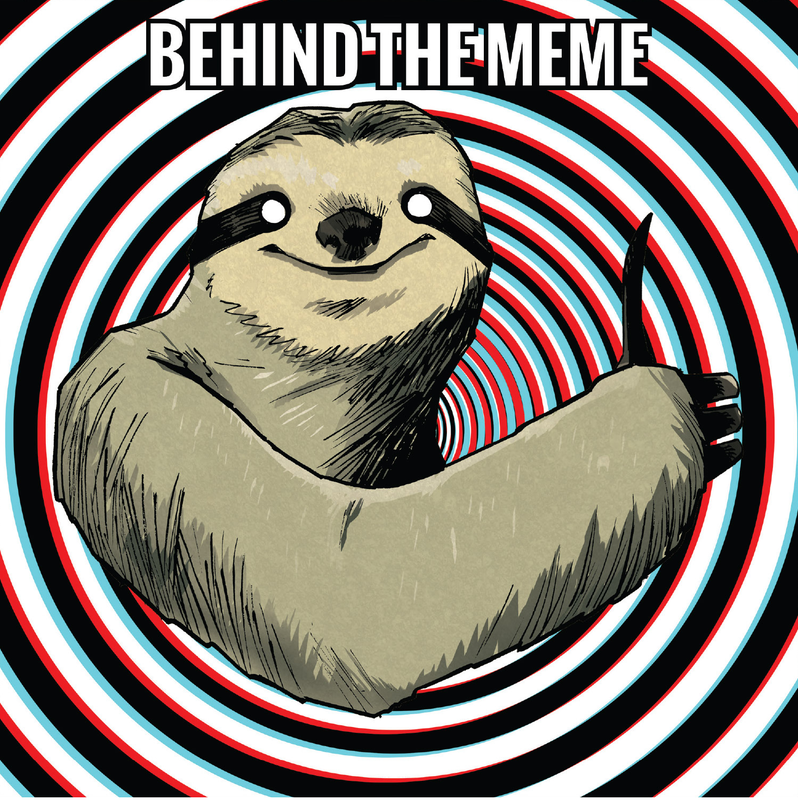 Go read Memetic. It's only 3 issues. One of the creepiest things I've read in awhile, just because of that damned Good Times Sloth. I think I will check that out, you've piqued my interest Cylons. I just read through the back issues of Curse Words, and I gotta say I don't think I've enjoyed burning through everything available in a series so far since Saga. I checked out the first couple issues of Curse Words, but it wasn't enough to keep me going. Anybody pick up anything new or read anything particularly good this week? I caught up on the two thus-far released issues of the new story arc in Snotgirl; the series is way different from my usual fare but the writing and art have been consistently good and the latest issue made me laugh several times. The mystery keeps getting more mysterious. Nice. I have been rereading my old back issues of Rat Queens so I can continue on with the newly-numbered series. I have read a couple of the new issues though, the backup stories have been pretty good. That old school animation homage sounds cool. I only pull TMNT and TMNT universe. But anytime I see a deal for Ultimate X-men or ultimate spiderman I will pick up the TPBs for cheap. I will eventually finish both series. Just caught up on Dark Fang #3. It's a series about a vampire who spent a lot of time living at the bottom of the sea, just chilling with her sea animal friends, but then she returns to the world above due to facing the effects of mankind's rampant pollution. The art was kinda jarring at first because it seems like it was made for a digital flash cartoon or something so it may take some getting used to, but now I like it a lot because it lends itself well to visualizing the movement in each panel. Anyways, check it out, some of you might like it. A new issue of Southern Bastards was finally released today. Anybody who's lived in a town that bleeds for its high school football should check it out.